WeHighlights 2018 EN - We have a new works council! We have a new works council! We already mentioned it in the last wehighlights: there were elections in march for the or, the works council. The ballot boxes are closed, the votes have been counted and the names of the or members for the coming three years are known - a perfect opportunity to hold a brief Q&A about the works council. Which activities does the works council in wärtsilä netherlands carry out? The works council, deals with requests for advice and requests for assent, joins in discussions about safety, health, welfare and environment (vgwm), sends member delegations to Wärtsilä’s european works council and has access to Wärtsilä Netherlands’ financial reports in order to be able to respond to developments. The works council delegates the activities across fixed and sub-committees, set up in mutual consultation. As a works council member, you have an important influence on the Wärtsilä Netherlands organisation. What is the influence of the works council on requests for advice? 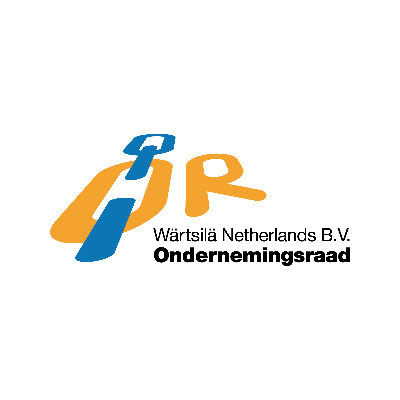 On receiving a request for advice about matters that have consequences for Wärtsilä Netherland (a change in the organisation, for example), the works council holds talks with the managing director of Wärtsilä Netherlands. Following these talks and their own investigation, the works council will issue an advice to the managing director, who will inform the works council of the ultimate decision and explain what was done with the works councils advice. Should the managing director fail to follow the works councils advice, the works council may take the case to court. What is the influence of the works council on requests for assent? Requests for assent concern matters such as pension agreement schemes, profit-sharing arrangements or working hours. If the works council does not assent to a regulation proposed by the managing director, that proposal cannot be carried out. What else does the works council do for employees? In reorganisation situations, the trade unions jointly establish the social plan with wärtsilä. As a member of the works council, you are closely involved in this and you make recommendations. That way, you have shared responsibility for the future at Wärtsilä and for all your colleagues; those who leave and those who stay. Questions? Something you want to talk about? Send an email to or.wnl@wartsila.com: response guaranteed.